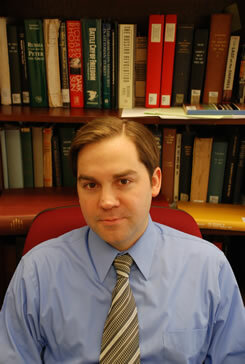 Sean McMeekin is the author of the new book The Russian Revolution: A New History. 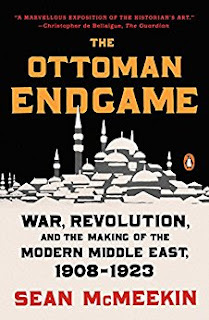 His other books include The Ottoman Endgame and July 1914. He is a professor of history at Bard College, and he lives in Red Hook, New York. Q: You write, "An event as consequential as the Russian Revolution will always be used and abused in political argument..." Why did you decide to write this new history of the Russian Revolution, and what are some of the most common ways the Russian Revolution has been used in arguments over the past 100 years? Q: The most obvious "uses" of the revolution in political arguments took place in the Cold War years, when a historian's views on the events of 1917 were difficult to disentangle from one's views of Soviet Communism more generally. Fairly or unfairly, those taking a critical line on Lenin and the Bolsheviks in 1917 were often dismissed as "Cold Warriors," while those who defended their actions were often criticized or lumped together as "Soviet sympathizers." To give a specific example, the issue of German financial support for Lenin in 1917, which was given new life when captured German documents were discovered and published in the 1960s, became thoroughly politicized, in drearily predictable ways. 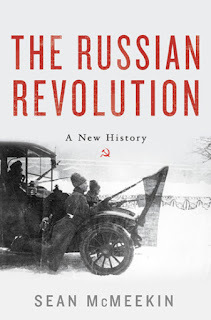 It would be naive to think that it is possible to write an entirely dispassionate, "apolitical" history of the something as controversial as the Russian Revolution. Nonetheless, I do think it is possible today, more than a quarter-century after end of the Cold War and the collapse of the Soviet Union, to examine the events of 1917 on their own terms. Historians have now had more than two decades to investigate and evaluate new material from the Russian archives opened in 1991. It seemed to me that the time was ripe for a new synthesis of the available evidence. Q: How do you think your book differs from past interpretations of the Revolution? 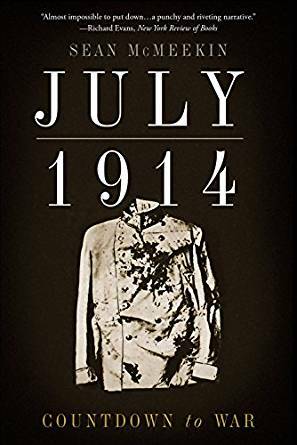 A: The main leitmotif of my book is the battle for the soul of the army during a year when, after all, Russia found herself in the middle of a world war, with more than seven million active-duty soldiers at the front and several million more in the rear. 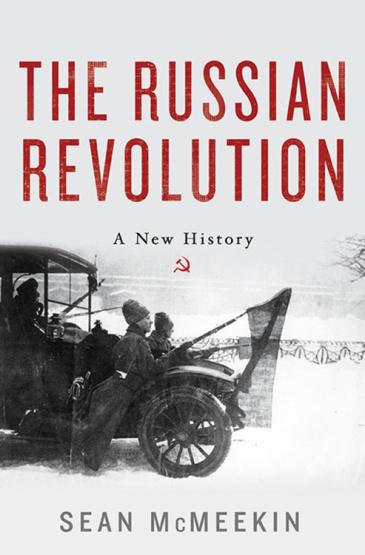 Because the revolution became so politicized, and western historians were denied access to original documentation for so long, the war tended to fade over the decades into the background in historical discussions of 1917, which centered instead around more structural themes such as Russia's late industrialization and economic "backwardness," the Russian labor movement, the ideological divide between Mensheviks and Bolsheviks, and so on. The main revelation from the archives has been a very simple reminder that Russia was fully mobilized for war in 1917, and this fact dominated everything else, from the critical debates over war aims which destroyed the liberal coalition of the first Provisional Government, to the laser-like focus of much Bolshevik propaganda on the army and navy. When it comes to hot-button topics, such as German support for Lenin, I have uncovered critical new evidence, in the form of witness depositions taken by Provisional Government investigators after the failed Bolshevik putsch in the "July Days." My book also adds the crucial evidence of how and when Bolshevik agitators and propagandists penetrated particular fronts and military units, and with what effect. So, while I do come down on the "side" of those who have played up German support for Lenin (as opposed to those who dismiss this as unproven or insignificant, etc. ), I also credit the Bolsheviks for their genuine achievement in winning over critical support in the army. A: There are some topics, such as the German connection to Lenin and the Bolsheviks, which I have been working on for years, in German, Swedish, and Russian archives. Until the final stretch run for this book, however, I had not found the final connecting tissue, so to speak: we have known since the 1960s that the Germans appropriated huge sums to subsidize the Bolsheviks, but it was never clear how the money reached them in Russia via Berlin and Stockholm. However, I can't take full credit for the discovery of the witness depositions in Moscow (at an archive called RGASPI). They were basically given to me by a notoriously moody archivist who, because I have always listened patiently to his sometimes aggressive, unsolicited advice, tends to know what kinds of materials will interest me. My main research objective in Russia, though, was to get to the bottom of the problem of army and navy morale in 1917 in the archives of the Imperial Army (RGVIA in Moscow) and Navy (RGAVMF, in St. Petersburg). In view of the growing tensions in Russian-American relations and rumors of restricted Russian archival access in this newly tense time, I had some trepidation about gaining access to what I assumed were fairly sensitive materials. It turns out, however, that Russian sensitivities still mostly surround World War II (which is known in Russia as the "Great Patriotic War"). 1917 is pretty far off the radar of the Putin government, and there were no real restrictions. So that was a pleasant surprise. Q: One hundred years later, what do you see as the legacy of the Russian Revolution? A: I am tempted to say that extreme political polarization in the West is the main legacy, but we can hardly ascribe all of this to 1917. It was the French Revolution, after all, which gave us the concept of "Left" and "Right" (in the seating arrangements of the National Convention)--the basic idea of a political spectrum between those believing in projects of human improvement, what is today called liberalism or progressivism, and those wary of or opposed to radical change, usually called conservatives. Certainly the Russian Revolution ratcheted up this divide further, by giving a huge global platform to Marxist socialism (in its Leninist form, i.e. Marxist-Leninism or "Communism") -- along with those passionately opposed to it. Some of this polarization endures today, although it is mercifully less heated (and less dangerous) than during the Cold War. In a more indirect sense, I think that a curious inversion has taken place, at least since the fall of Soviet Communism in 1991. One of the many ironies of Communism, as practiced in Russia and Eastern Europe at least, is that, by strictly regulating economic activity and tightly restricting foreign access to local markets, the long-term effect in those countries may have been to slow down the social and cultural changes wrought by capitalism and "globalization." Political and cultural debates seem to have shifted far to the "right" in many ex-Communist countries, even as the western mainstream trended left on most social and cultural issues, if not necessarily on the big economic questions (at least until the recent populist reaction). This could be simply a hangover effect, as countries with experience of Communist central planning decide they won't go there again. Still, it is noticeable, and very interesting. A: I have been studying the First World War and its legacies for so long that I finally decided to try something new, and tackle the Second World War on the eastern front. In a way, it is not really a new subject for me. It's more like returning to an old love, as the "Great Patriotic War" was the subject of my first substantial historical research project, prompted by an NEH grant I won during my senior year in high school way back in 1992 (the year of an exciting "Revelations from the Russian Archives" exhibit at the Library of Congress). I didn't know Russian then, so there were limits to what I could do. But I still remember interviewing six Red Army veterans who, mysteriously, had ended up in a retirement home in my home town of Rochester, N.Y.: they were all missing at least a limb, some more than one. It blew me away to hear their stories. A: I had great fun writing this book, and I hope your readers will enjoy reading it!